The Green Sheet :: E-Magazine :: How fully do you understand the fintech and payments industry? I recently received an email with the same title as this article. The introductory paragraph said, "If you're involved in the financial industry in any way, it's important for you to have a clear understanding of the payments landscape, and how fintech is impacting it along with the rest of the financial world." Most ISOs and merchant service providers are busy calling on clients, searching for leads, working referrals, writing proposals, doing demos and driving hundreds of miles a week to get new business and keep the business they have. They are focused on their clients' needs, not technology. But payment service providers must stay up to date with technology to help merchants run their businesses more efficiently and provide a better user experience for their customers. Changes in payment processing are being driven by advancements in hardware that increase workflow and computation ability, accompanied by increased software capabilities, which are driven by things such as artificial intelligence. Some observers are calling this the "Third Industrial Revolution." There's a lot going on here. A September 2017 study by Deloitte, using data from Venture Scanner Inc., sets forth four fintech categories: banking and capital markets, investment management, insurance, and real estate. The clear leader is payments in the banking segment, with fully 645 startups to date. Can anybody keep track of what 645 startups are doing? I wouldn't say there is unbridled enthusiasm, however, like there was during the tech bubble of the late 1990s or the growth in the technology sector 10 years later. I am skeptical of the hype surrounding cryptocurrencies and blockchain. I am also skeptical that fintech companies will enjoy unbridled growth going forward. There is a new player in this ecosystem: the governmental regulator. The public is very much aware of data breaches and the potential of abuse by tech companies like Cambridge Analytica. The European Union just put into effect the General Data Protection Regulation, which requires data transparency, user control and user opt-in for data collection. In addition, it includes standards for data storage and protection, encryption, and breach and compromise reporting. Companies, such as Facebook and Google, that rely on "data science" to provide targeted advertising should be particularly concerned about this. We hear a lot of talk about the Internet of Things, smart homes, the cashier-less shopping experience, virtual reality, autonomous cars and automated human functions, and there will be many other new developments powered by fintech. As an ISO, identify early on how to add value to your clients from these new developments – if you can. In the payments world, we are interested in how to monetize new capabilities and products our merchants and their customers will want to use. But it's challenging to identify who to work with here, because most fintech players will not be around in five years. The analytics used to value fintech companies are different than those you studied in school. The genesis of financial analysis and corporate finance is a book called Security Analysis, written in 1934 by two Columbia University professors, Benjamin Graham and David Dodd. They would never countenance a $500 billion market cap for Facebook, or see Twitter with a $100 billion market cap in 2025, or Netflix with a growth multiple of 200+. They would not readily understand why Amazon – which has never really turned a profit or paid dividends to investors – has a market cap of over $800 billion. In retrospect, the Amazon business model seems so obvious: a complete marketplace, one-click checkout and next-day delivery (plus the ability to return things you don't want). In 2002, Amazon standardized the way information is shared internally, using APIs. This allowed it to work with third parties and achieve increasing returns as a result of network effects. This is new territory, not just for investors, but also for consumers. The most important thing to realize is that fintech will not accomplish anything revolutionary without creating a new business model. This is not about adopting artificial intelligence, using blockchain or getting someone to use your API. The marketplaces we are familiar with will change when someone implements a new business model to change how an industry operates. I am talking here about focusing on one industry, not creating a one-size-fits-all platform to compete with Amazon. This requires intense focus, with a healthy dose of creativity and ingenuity. As a trusted payments provider, you also have to provide security (tokenization, EMV and encryption), a seamless and consistent user experience across all channels (in-store, mobile, online, MO/TO), and consistent branding across all channels. That's just for starters. For example, in the case of Uber, Tim O'Reilly noted seven business model breakthroughs: replacing ownership with access, on-demand transportation, management by algorithm, augmented workers, drivers who show up when you need them, and a magical user experience managed by a whole platform, not just a company. Today, this looks obvious, but it wasn't obvious when it first appeared. When I worked in Manhattan, "gypsy cabs" were not all that different from Uber. For a long time cab drivers who had forked out $100,000 for a taxi medallion successfully lobbied the NYC Taxi and Limousine Commission to protect their investment by regulating gypsy cabs. Uber bypassed this regulatory structure, which I would have thought impossible at the time. I guess that's why I'm not an entrepreneur. My track record here at CrossCheck is checkered, because when I first heard a presentation on Square, I turned to my boss, Travis, and said, "Without proper underwriting, this will never work." What I should have said was, "With the pricing that they will need to get market share, they will not turn a profit for a long time, so they had better find a way to finance ongoing operations." Here's a November 2017 quote from Mark Tepper, President and CEO of Strategic Wealth Partners, "Square has a good track record of losing money, and there is no clear path to profitability in the near future." For ISOs, the question is how to find the right new business model for your clients. Doing this will not involve you using blockchain or cryptocurrencies. The place to start is to understand how your merchants manage their businesses now and what their pain points are. 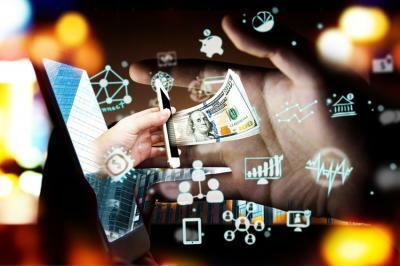 Let's look at two fintech ideas, one promising, the other not so much. First, the promising one, courtesy of Will Hernandez, writing in the MobilePaymentsToday blog. He cited a recent survey by eMarketer showing low adoption rates for mobile payments. He suggested transit as a use case that might be more successful. The mobile wallet schemes, issuers and networks could promote NFC-enabled mobile payments for bus, train and subway. "If NFC-enabled mobile wallets are safer than a card payment, thanks to fingerprint/facial authentication, EMV standards, the secure element, tokenization, etc., then why charge merchants for such transactions (or why not incentivize them to accept at a discounted interchange rate)?" Hernandez wrote. "Retailers could get consumer usage with loyalty and rewards programs, and benefit from a lower interchange rate." Will is onto something here. He is looking at the big picture. The other idea is businesses using credit cards for corporate purchasing, corporate expenses and fleet payments. The proposition here is that the issuing banks share their interchange revenue with the corporates using commercial cards for payment. The vendor taking the card as payment pays the freight – from 2 to 3 percent. The card brands have been pushing this for decades, and you can see why it has gotten little traction – it looks more like extortion than payment processing. There is no interchange on taking a check for payment, the check clears the next business day, and the documentation accompanying a check and invoice will be much more comprehensive than Level 2 and Level 3 "enhanced data" for commercial cards or an ACH addenda record. This is why virtually all business-to-business payments remain check-based. Corporate purchasing cards do not address the real need, which is how buyers and sellers can exchange invoice information quickly, easily and cheaply. Planning a fintech project starts with maximizing benefits for all players, not stacking the benefits in one corner and penalizing the other party. We would all do well to keep this in mind going forward.